Internet Download Manager is the fastest download manager and accelerator available now in the market. It organizes, schedule, resume your downloads. It accelerates the download speed upto than 5 times the normal the speed, depending upon your Internet connection. Internet Download Manager can be embedded or integrated or used as a plugin for browsers like Mozilla Firefox, Opera. It can download flash videos from live streaming sites like Youtube, MySpaceTV, etc. You can also download or grab all the links, images, videos or even the entire website, if you want for offline browsing. 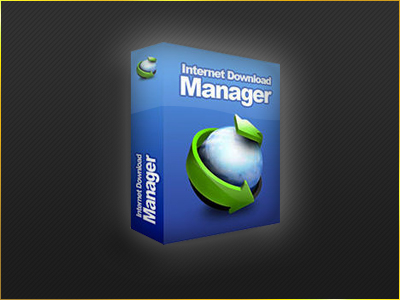 IDM software has rated #2 in download managers presently. It automatically sorts incoming files by file type and places in specific folder. If your internet connection speed is considerably more, then IDM increases the download speed upto 200%. Limit the number of connections, change the download speeds for specific websites, and you can even block those sites which are not relevant to you or contain malicious content, links, videos, images, etc. Coming to its Installation, IDM has got less installation steps and very easy to download and use it. But, you have to set some options that are must to increase and optimize the downloads. Automatic Virus Checking for the downloaded files. Ability to download all or specific images, links, videos or whole website for offline use. New version of IDM includes Web Analyzer that can get complete links (like images, etc) from a website and download them. FLV Grabber, that can retrieve videos from Youtube, MetaCafe, etc. 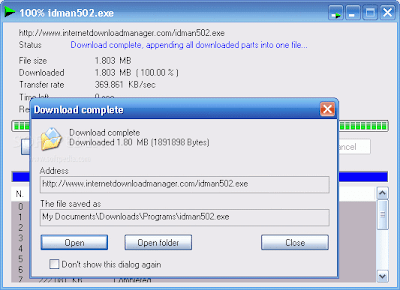 Download Internet Download Manager for free at download.cnet.com or IDM's website.